I have been working on this post in my head, collecting information, knowledge and thoughts for as long as Lexi has had glasses. 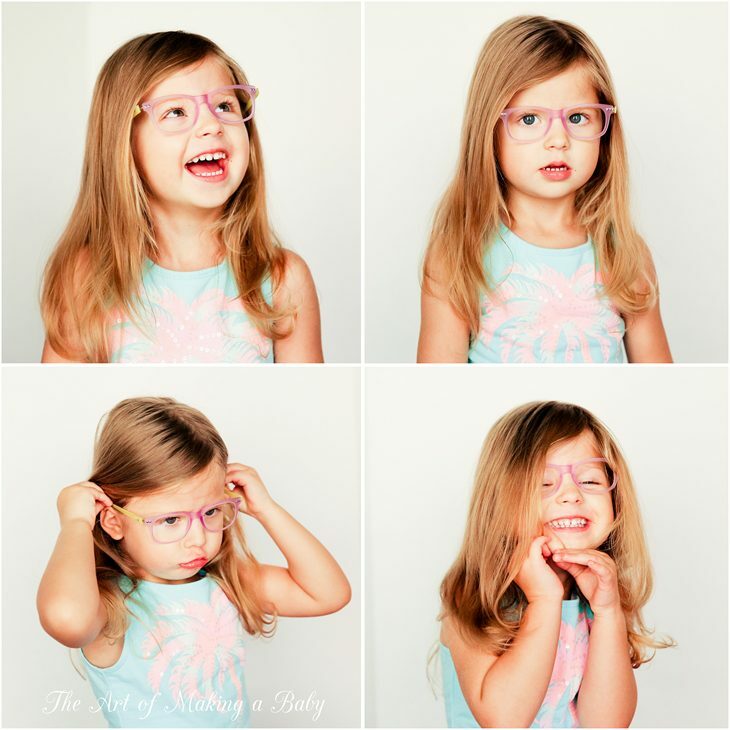 If you hadn’t read about HOW she got glasses and why, and why every parent should pay attention to eye health from their child’s birth, please feel free to stop by this post. For those who just want to look at cute pictures of Lexi in different style glasses, go ahead and scroll down or bookmark it in your Pocket for the future, in case you need it. 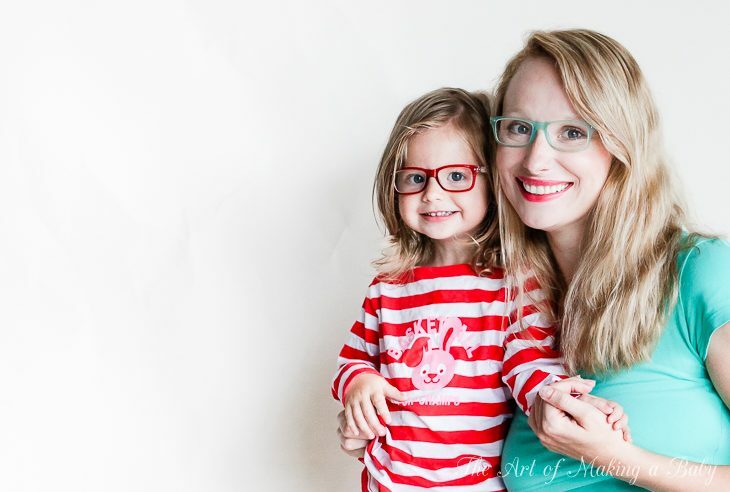 If you’re actually interested in reading about the challenge of finding cute, flexible, durable, properly sized and stylish glasses for young kids, and how I found some amazing options during my research, read on. 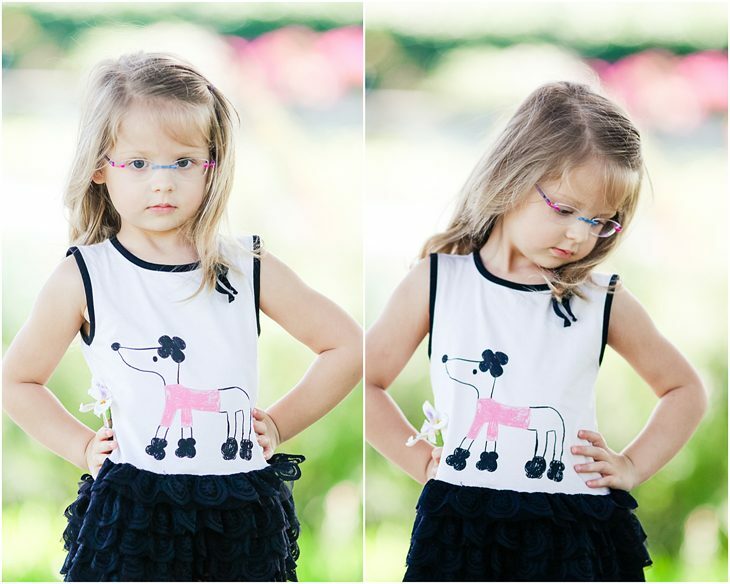 When we found out that Lexi had myopia ( nearsighteness), we ran out to the optical store that day to buy her glasses. The issue we didn’t anticipate is that most local stores don’t carry sizes that work with small children. See, it’s not just the looks that matters. The pupil should be as close to the center of the lens as possible for a perfect fit and best vision. So buying glasses that are meant for much bigger kids, unless they are properly filled, can actually cause more harm. Many optical shops that cater to adults do not know how to properly fit a small child, unless you go to an optical shop that specializes in that, like Optiwow below. So we bought two pairs of glasses at a local store (see photo above). At the time, they were the best they had and we thought it was a decent fit, considering the choices. Over time though, as I learned more and more about the proper fit, I realized that we needed to find a better option. 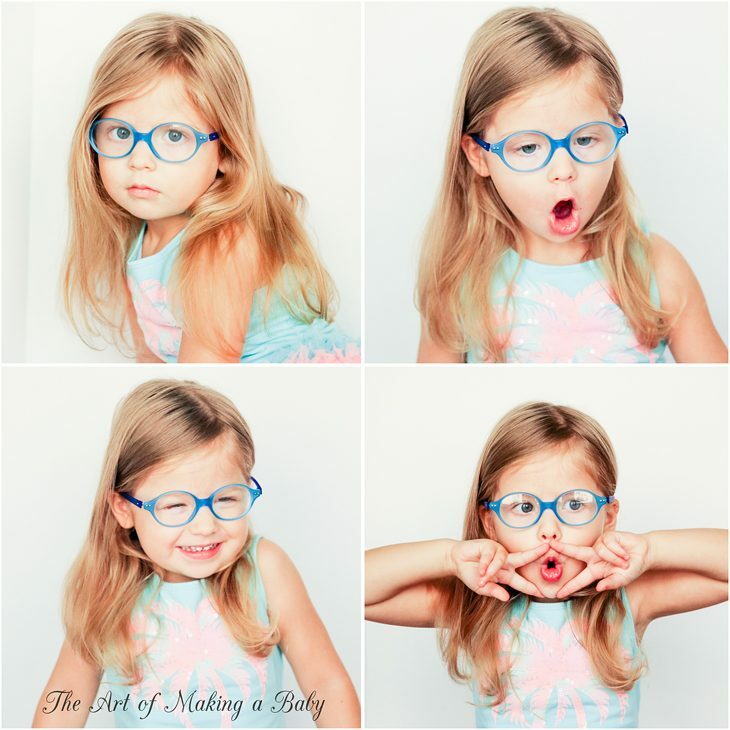 Off I went to the Internet for help, looking for and successfully finding international brands that make frames that even adults would love wearing. And how is it that it’s always international brands that have the most stylish coolest options. So fast forward for now and here is the result of all my research, talking to brands, trying their frames, looking at their options. I wanted to make sure that every frame we tried, I photographed to be able to demonstrate how it fits and looks. And also… well, it was kind of fun photographing her trying on different glasses and all the looks she had. These are personally my favorite frames. iGreen is made out of a revolutionary polymer that gives it flexibility and lightness, that’s not seen in other frames. Weighing at only 5 grams, they are perfect for kids who don’t like wearing glasses, since you can barely feel them on your face. They are flexible and durable at the same time. Pretty hard to break as they bend and unfold flat, which is another important aspect for kids. But my absolutely favorite feature of iGreens’ though are the designs. Colorful, offered in different sizes for faces of all shapes and ages, they have interchangeable temples, which means you can switch up the look the second you get bored of it. Kids who love matching their accessories to their clothes will get a big kick out of it. The red pair is just adorable on Lexi ( we are about to fill it), especially when paired up with a red shirt. iGreen has a ton of collections for adults, so you can always match with your child. 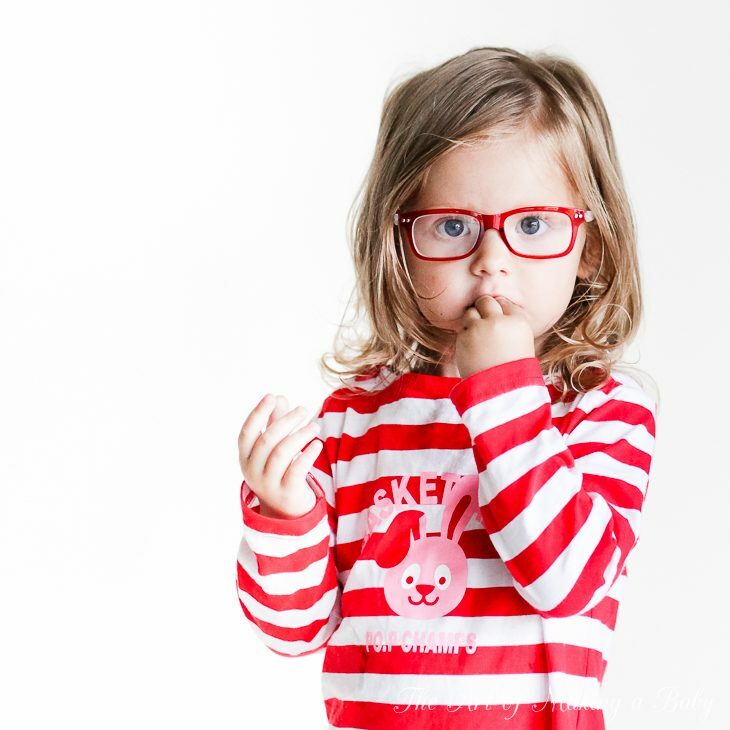 Menizzi is an italian brand of frames with a great selection of kid’s styles in sizes small enough for toddlers. 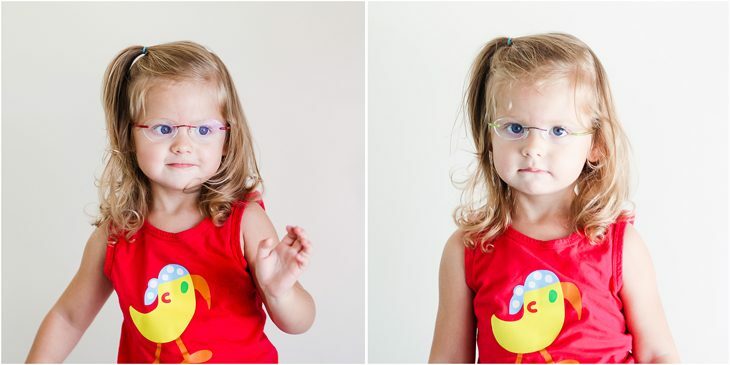 Smaller frames are made of softer plastic and intended for smaller kids. Those frames usually feature brighter colors and more rounded shapes. 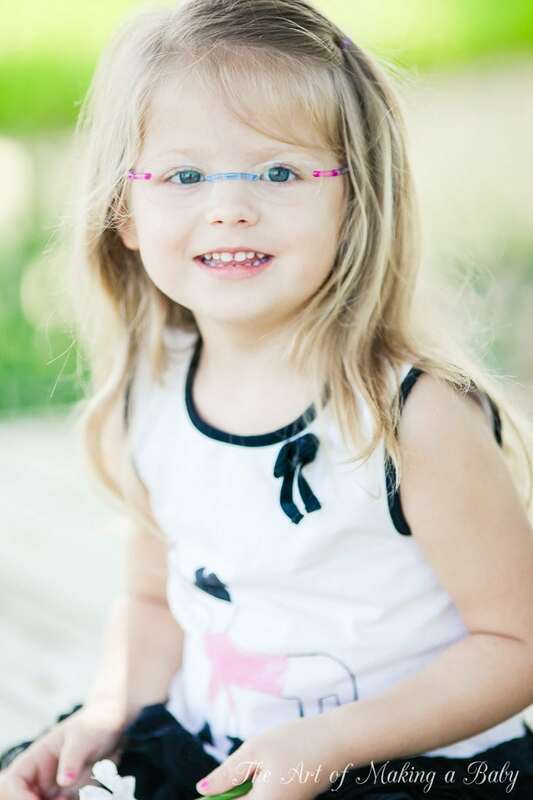 Other kids frames are darker in color with colorful temples and are made hard glossy plastic. 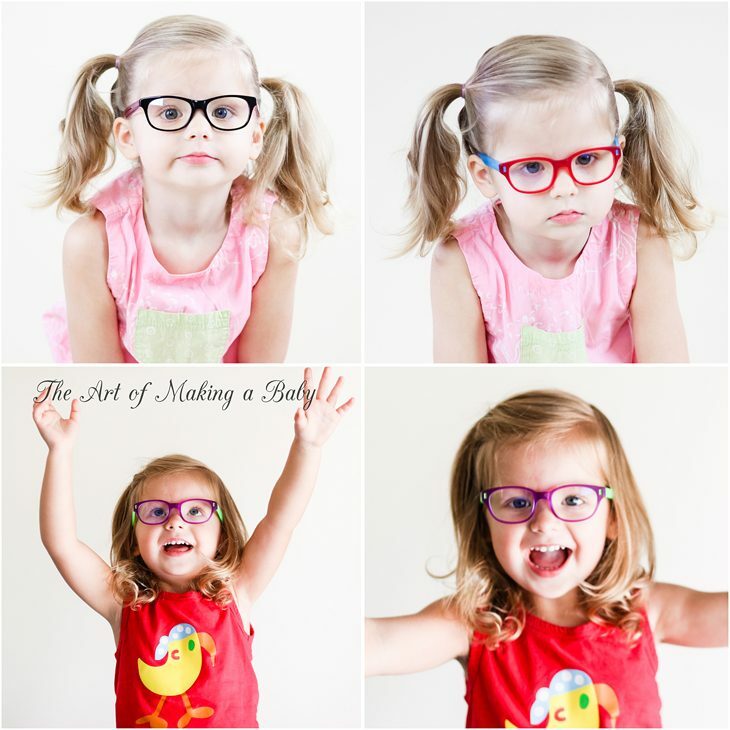 These frames are ideal for school ages kids and even feature some preppy plaid designs. Lexi’s friend Alexa had to get glasses, too and when we tried the red frames on her, she just HAD to have them. Not only do they look absolutely adorable on Alexa, but she absolutely loved them. And it is crucial to have a child pick out the frames for the first glasses to ensure that they wear them without contempt. Well, I don’t need to make an introduction here. 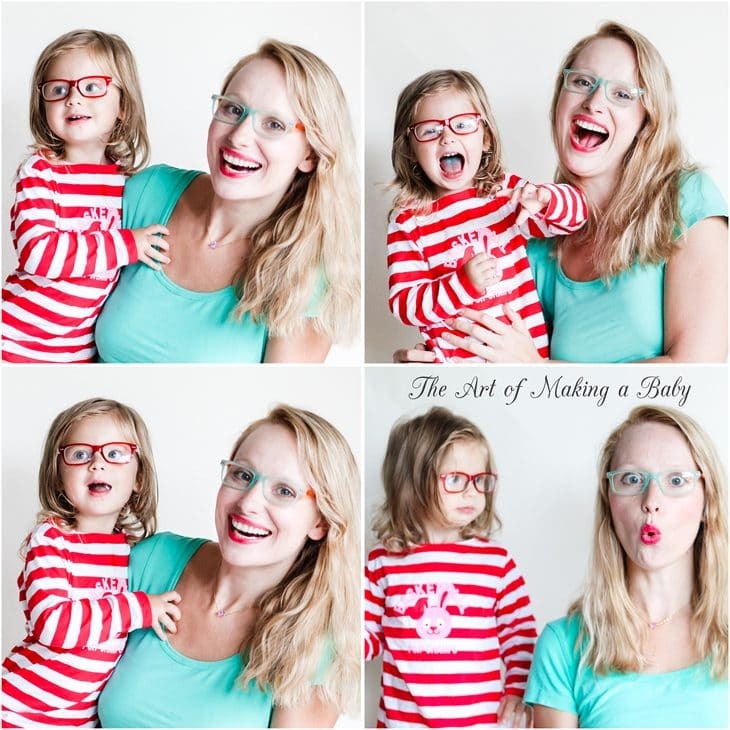 It’s well known we love Babiators here, so I was stoked when they announced they would be coming out with Rx frames. I was hoping for Rx frames, similar to the Babiators sunglasses, however they went in a different direction. 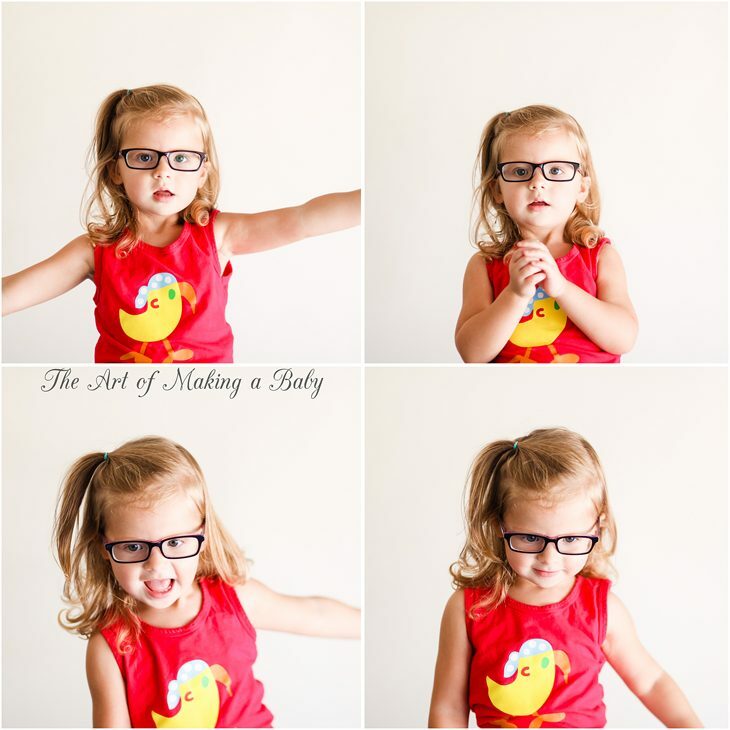 They came out with flexible, durable, adjustable frames with different styles than their Babiators. Not being a fan of that specific look, I was slightly disappointed, however I think it’s a great alternative to Miraflex that seem to be so popular. The great thing about these frames is that by heating them at the optician’s office, you can adjust the frame to fit virtually any face. Make them appear smaller or larger depending on the level of curve. And speaking of traditional Babiators, I often get asked how Lexi keeps wearing them. All we did is fill the sunglasses frames with Rx sunglasses and then pop the lenses in and out of her different color Babiators. I was excited that she is still able to wear it. 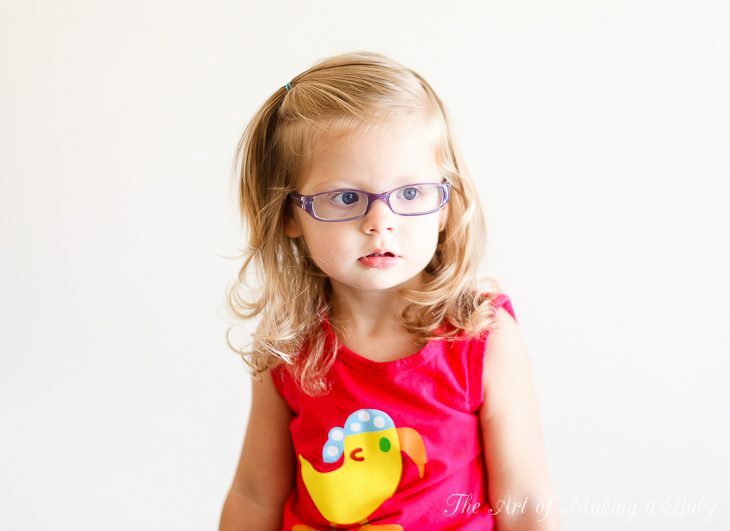 Silhouette are the original seamless glasses that I found when looking for a less heavy option for Lexi when she was 2. While they do carry framed options for kids, my favorite are the frameless virtually invisible on the face options. 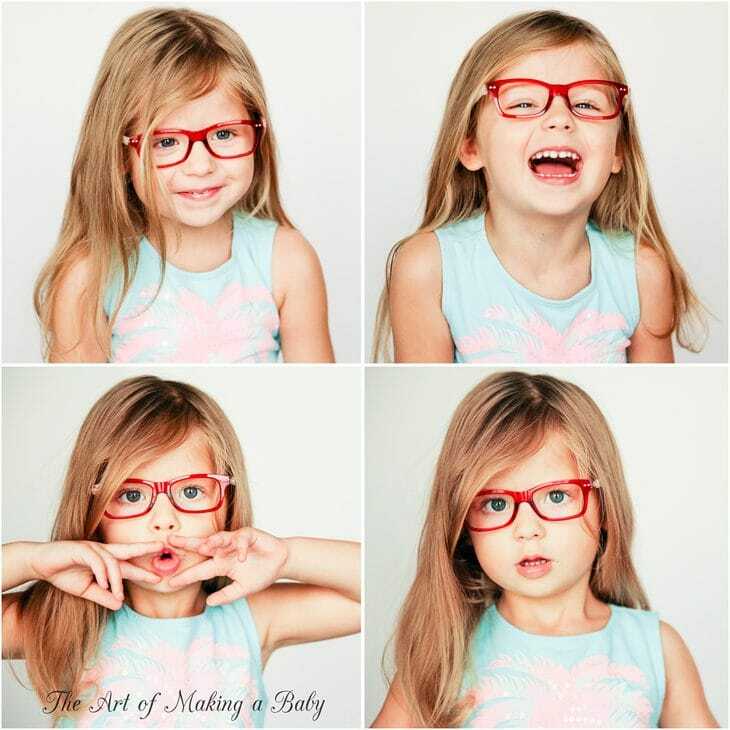 It is not a perfect frame for all kids at such an early age, because kids do tumble and fall a lot and there is not much protection from the glass in framless glasses. However, with Lexi, falling and hurting herself was never an issue – he seems to be aware of dangers, isn’t particularly reckless, fumbly or uncoordinated as kids often are. So while many opticians don’t feel comfortable recommending such frames for under 5 crowd, I thought that filled with a safe material, they will work well for our daughter who doesn’t tend to fall a lot. In the end we ended up going with a different frameless option, however Silhouettes are the most common and available frameless brand for kids out there that I would definitely recommend. The glass itself can have any shape: round, oval, rectangular and many derivatives of them to match the look you like. 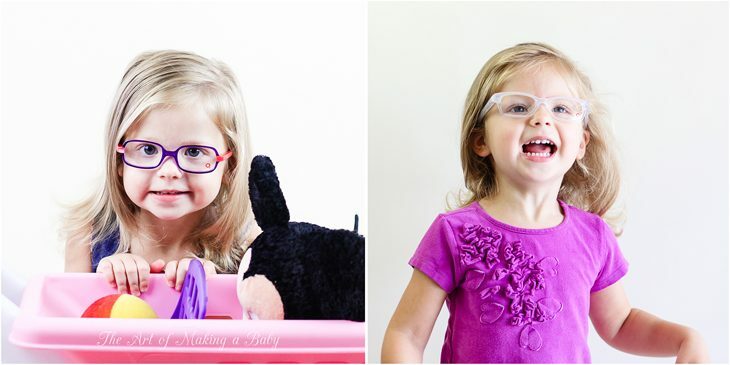 Optiwow is a kids’ glasses boutique that stands completely apart from the rest of its kind. 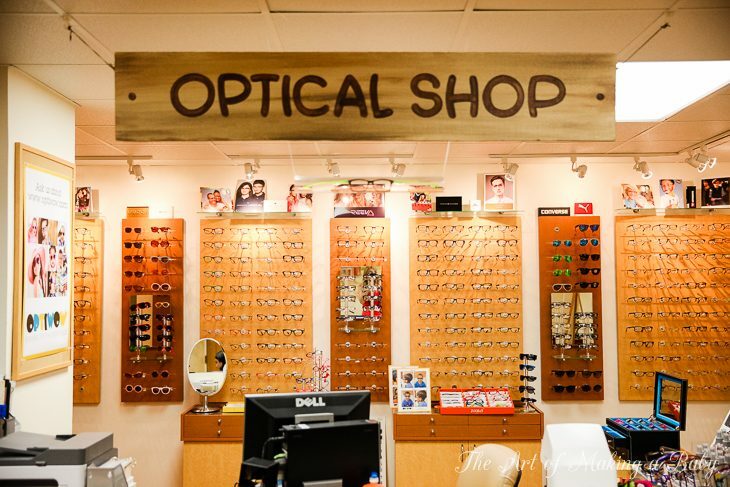 It has a physical location in Miami where they test vision, sell and fill their Rx glasses and also operate a phenomenal website with the widest selection of kids frames I have ever seen. Some of brands that they carry cannot be found anywhere else. Some of their brands I’ve never heard of. It was almost too much fun to try all different frames and that is exactly how we arrived at our final main pair of glasses, Swiss Flex. Above mentioned brands like iGreen, Babiators and Menizzi are also carried by Optiwow. I have never seen such a wide range of glasses for little kids. Swiss Flex, the frames we favor at the moment, are frameless glasses with cute colorful see-through nose and ear pieces that can be interchanged and customized. Lexi calls her glasses “Frozen glass”, because of the frost trnasparent colors. We get comments and questions on her glasses all the time. Both kids and parents love them. See Saw Seen is a small company that offers an amazing array of different brands and styles for both kids and adults. They carry adorable Sons+Daughters collection(I got obsessed with them when I saw their hearts and XO glasses). 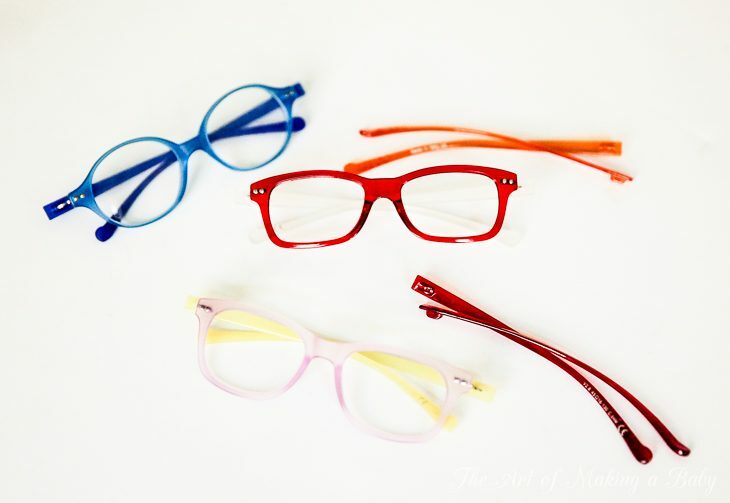 Their in house collection features a lot of light plastic frames, as well as flexible frames for smaller children in fun basic colors and different shapes and sizes. Some of the frames we tried were too big for Lexi at that moment ( she was two), but I could see how in just a year or two she would grow into them. At this point she wears the white sons and daughters pair as her backup glasses and she calls them “Palm Trees” glasses. Coastal.com is mainly adult glasses, but they do have a good selection of frames for kids. 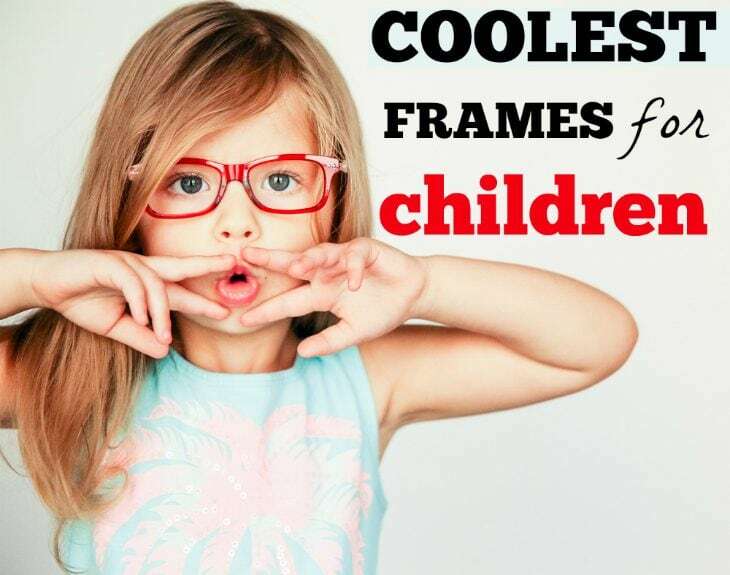 For the most part, the sizing is more fitting for older, school-aged kids, though you can find a few frames that fit a small face. We went through 2 frames before we found the one we liked. It helps immensely that they have 365 day return policy and a virtual try out that enables you to see the frames on your kid’s face by just uploading a picture. i grabbed some coach glasses for my 12 year old small because, while modest and humble, she likes fashion and style. My oldest and I, as well as everyone on my mom’s side of the family all wear glasses. We were recently in the store getting new frames for Ava (16 ), and I wondered if Kenzie (11 months) will need glasses too. Ava started wearing glasses in 3rd grade and I started in 2nd. 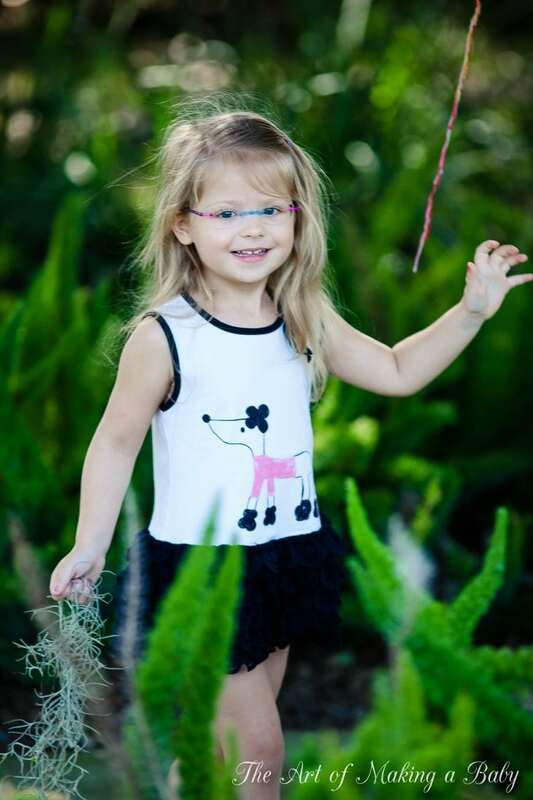 And it never even crossed my mind that we may have had improperly fitting frames….I will definitely take my time and check out some of the resources you’ve provided here if it turns out that Kenzie needs glasses. Thanks for posting your extensive research! I am SO happy I came across this post! 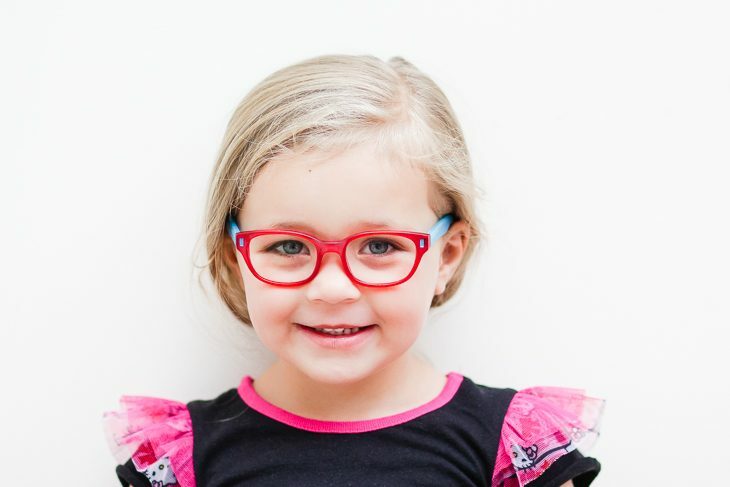 My daughter (just turned 4) was just diagnosed as being far-sighted and I am less than impressed with the glasses we’ve been looking at. I’m obsessed with the frosted white (maybe clear) rectangular glasses your daughter has on in the pic above your title “Above: Etnia Barcelona”. I searched their site and can’t find them. Would you mind telling me the brand and style of them? Thank you again for this very helpful blog post!!! Glad you found it useful!!!! Local frames options are so bad. The ones you saw are by the brand names Etnia Barcelona. They actually always come out with new frames so these might not longer be in their line up. What I would do is contact Optiwow and show the picture or refer them to my post and ask them if they could order those frames. They will know the style. Alternatively look for them online. I know that style comes in different colors so you might not recognize it. Unfortunately I don’t remember the name of the style now. But Optiwow would definitely be able to help. Thank you for your reply. And thank you again for this blog post! If it weren’t for this post, I would still be searching for the perfect glasses, or settled with something I wasn’t happy with. My daughter has a very narrow face, so we needed to find tiny glasses. We ended up going with Swissflex and are SO happy with them! 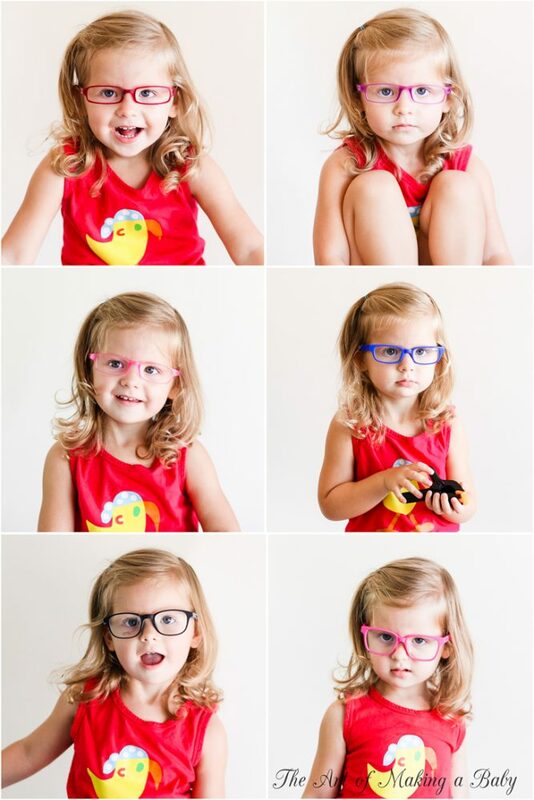 I can’t wait to order her the red igreen pair when she gets a bit older…they were adorable as well. Oh we love our Swiss Flex! So glad it was helpful! Thank you so much for all the wonderful and helpful information! 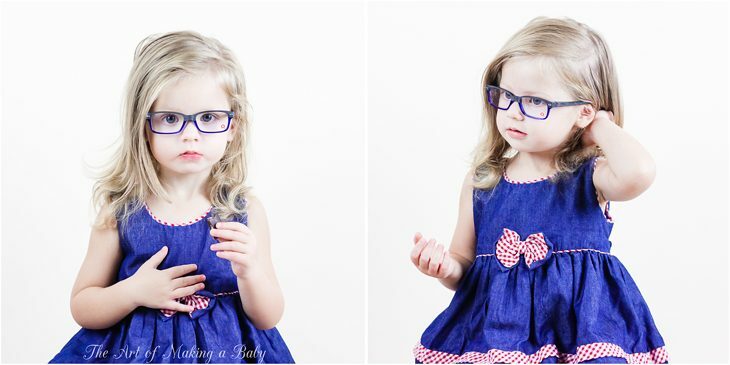 My toddler was just diagnosed with accommodative esotropia (farsightedness). We are getting ready to order her first pair of glasses. I was wondering if you have any opinions on the transition lenses that darken in sunlight? I am not sure if they would be helpful or a hindrance. We did have transitions for a while. In the end we decided to do a pair of normal glasses and a pair of sunglasses for several reasons. Transitions tend to darken even indoors if it’s too bright, or outside when sunglasses aren’t needed, so half the time she had somewhat tinted lens. I didn’t like it from the aesthetics perspective and also since sunglight has been shown to be beneficial for myopia, I didn’t want to rob her of that. 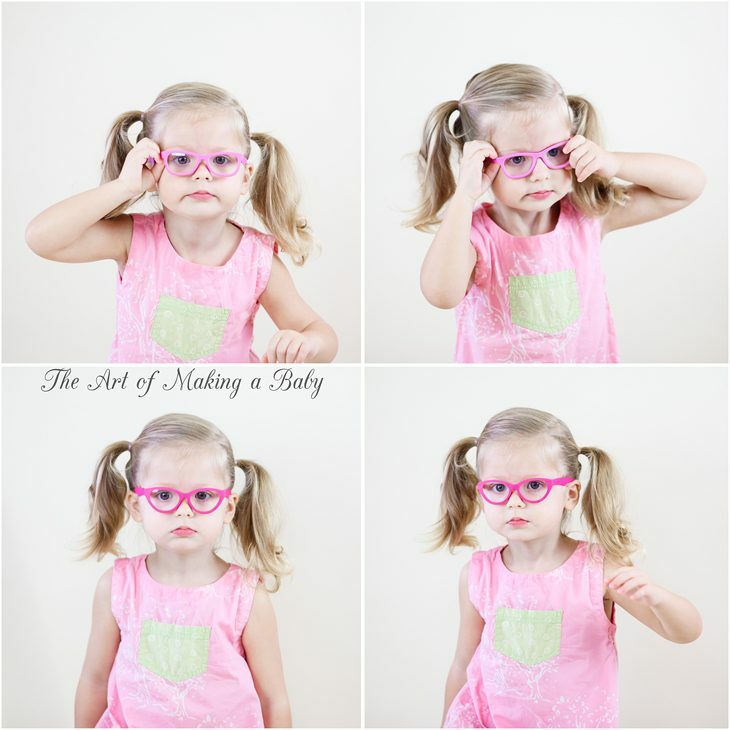 We also love babiator sunglasses and loved the we could have them filled with Rx sunglasses lens. I am so happy to find this blog. I remember when we’re looking for a good eyeglass frame my son. I don’t want him to feel discomfort while wearing it. 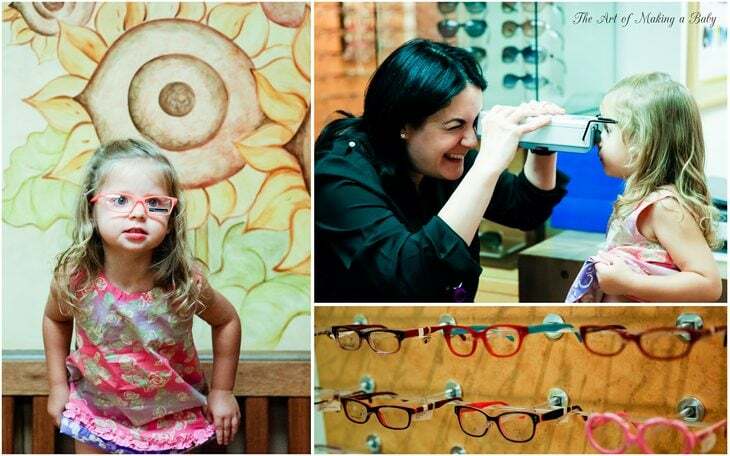 And we’re lucky to meet the team from https://www.eo-executiveoptical.com/ who helps my child to choose his first eyeglass.